The Master Gardener Program in Burnett County started in 1999. Over 47 people have been trained since that time, and there are currently 9 certified Master Gardener Volunteers (MGVs) for 2016. The UWEX Educator facilitating the MG Program is Agriculture Agent Kevin Schoessow. MGVs maintain several gardens at Fort Folle Avoine Historic Park, a County-owned facility located near Webster, that feature native plants, heirloom vegetables, herbs, perennials, and cut flowers. These gardens and other perennial landscape plantings around the historic buildings provide a wonderful educational experience for local and out-of-town visitors. 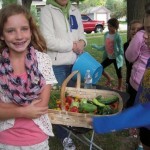 MGVs guided students at the Webster Elementary School Garden in lessons on gardening to last a life time. 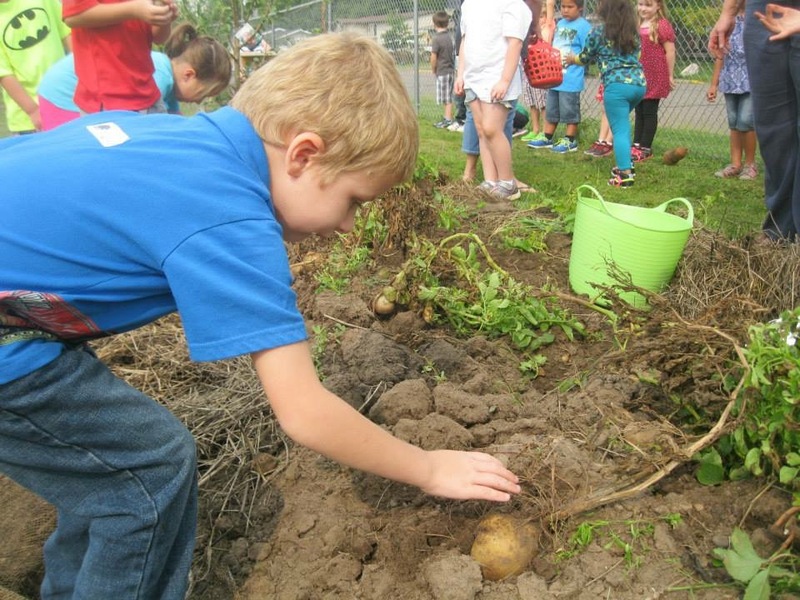 Last spring K-4 classes took turns planting seeds and cuƫng up potatoes to plant. During summer school some of the early vegetables were used for lunches. This fall potatoes were dug up— it was like a scavenger hunt. Then the nutritionist baked them for the whole school to try. Students have been introduced to vegetables that they’ve never tried before and have been inspired to start gardens at home. Burnett County Farmers’ Markets (BCFM)—a community organization of local farmers that provides access to fresh, locally grown produce— began at Siren in 2007. Since that time MGVs have been invited to serve 4 additional market locations. Samples are provided at the Siren market to pique customer interest and to provide new ideas for seasonal foods. Since BCFM is a licensed WIC organization and authorized vendors accept WIC vouchers, many lower-income residents are getting useful information on how to prepare more nutritious foods for their families. Where you can find activities by MGVs in Burnett Co. The Master Gardener Program in Jeﬀerson County started in 1995. Over 220 people have been trained since that time, and there are currently 39 certified Master Gardener Volunteers (MGVs) for 2016. The UWEX Educator facilitating the MG Program is Agriculture Agent Lavern Georgson. Read more in this excerpt from the 2015 accomplishment report. 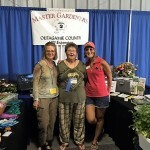 The Master Gardener Program in Outagamie County started in 1999. Over 490 people have been trained since that time, and there are currently 107 certified Master Gardener Volunteers (MGVs) for 2016. The UWEX Educator facilitating the MG Program is Crops, Soils and Horticulture Agent Kevin Jarek. Read more in this excerpt from the 2015 accomplishment report.